This web site is designed to help parents, families and carers with children within Sakyo-ward, Kyoto city. We offer information on: activities for children, your local family support services, playgroups and playgrounds, events (flea markets, lectures, culture classes, and etc. ), location of facilities: Jidokan (children's hall), Hoikuen (nursery), parks, etc. 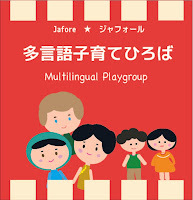 Community playgroups for families with young children are provided in neighbourhood locations throughout Kyoto. Notes: We play in Iwakura Yonnotsubo park. If it’s rainy, it will be canceled. The event starts and ends at Yonnotsubo park. Notes: We play together with balloons. Let’s communicate with friends while playing with balloons. Notes: We are friends now! Let’s enjoy comfortable time with families. Notes: Please wear clothes that you don’t mind getting dirty. Target group: Families and children (0-18 months) Expectant mothers are also welcome. Notes: Let’s enjoy chatting together. Notes: This event is free. Why don’t you enjoy talking about any topics including raising children, while drinking coffee or tea. We, the staffs also join this event so feel free to join us. We are preparing coffee and tea. Notes: Let’s move our bodies. Notes: Let’s make a Koinobori with origami and color paper. Notes: Registration anytime. You can join us anytime. Kira-kira Club “Making Koinobori (carp-shaped streamer for Children's day)"
Notes: Let’s make a Koinobori. together! Notes: We are friends now! Have fun playing together. Notes: Let’s play with a trampoline and slide. Notes: Playing in the yard. Notes: Need registration for the first 5 pairs. ￥500 for Admission fee. Notes: Need registration for the first 25 pairs. ￥300 for admission fee. Please bring a Yoga mat or bath towel, drinks, and comfortable clothes. Notes: We read a story with a big book, and see a picture story show. Let’s comfortably stay here listening to the stories. Notes: Need registration for the first 25 pairs. You can also visit here to watch what we do. Notes: Bring your toys to have them fixed. Volunteer members of SKY toy hospital will repair your broken toys. Fee may be required for replaced parts. The purpose of toy hospital is to teach children the importance of things and to communicate with them. Please bring your broken toys on the day of the event and hear how they are repaired. Maximum 3 toys per person. Notes: Please bring shoes for the yard and tea. Natural Life with Herbs "Handmade Sausage"
Notes: Registration is required. Up to 5 families. Papa-san Day "Making some presents for Mother's Day"
Poppo Club (Registration system) "Drawing, Stamp Play"
Notes: Reservation is required. You can register the club anytime. Baby Circle "Reading Picture book"
Notes: Up to 5 families. Asobo Day "Playing in the Big Equipment"
Notes: Up to 15 families. Please bring your bath towel or yoga mat, and wear comfortable clothes. Notes: Please wear the comfortable clothes. Target group: Families and children (0-6 years) Only parents or pregnant women are available. Notes: Up to 25 families. Please bring your water bottle and yoga mat or bath towel, and wear comfortable clothes. Mickey Hiroba "Free play time"
Nakayoshi-da Club "Playing on the big trampoline"
Notes: It’s the registration system. You can join the club anytime. Notes: Up to 15 families. Please bring your towel, water bottle, and yoga mat or bath towel. Notes: Let’s enjoy the piano and music with Ms Kotani. Notes: You can register anytime. Notes: Free participation. Touching game, chatting time, and more. Notes: Let’s sing together with an electric keyboard. Notes: This is a place to play freely with families and children. Notes: Please use public transport to come to the venue. Notes: Let’s enjoy seasonable Origami and crafts. Notes: This event will be held at Muramatsu Jidokan in case of rain. Notes: Please wear comfortable clothes for exercise. Playgroup is held on irregular basis. Kyoto Orientation is a special organization that assists international students, researchers, business people and their families in making life in Kyoto a positive experience and help ease their minds. 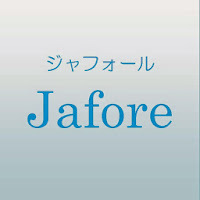 Jafore is a not-for-profit organisation that provides information, services and events to non-Japanese speaking parents in Kyoto. The information shown in this web site is compiled by individual volunteers who are not affiliated to Sakyo-ward Child-rearing support office, Jido-kan, or Hoikuen. The events may cancelled or the schedules may be altered without notice.